Please click the link below for my appearances on BBC Radio Between 17-22 August. Kat Orman Show, 20th August: Discussing the length of cinema credits. Please click the image above to listen to a segment from Phil Gayle’s morning show, broadcast on 22nd August on BBC Oxford. I call in to discuss great movie pep talks. Please click the image above to listen to my 22nd August ‘Films On Friday’ segment for BBC Oxford, where myself and host David Prever look at “Sin City: A Dame To Kill For”, “Lucy” and “What If”. We also look at the box office and events around Oxfordshire. Please click the link above to listen to my “film of the week” spot for Ali Jones’ weekend morning show, broadcast 23rd August and guest hosted by Charles Nove. I review the film “Sin City: A Dame To Kill For”. Pleasee click the link above to listen to my film review segment for BBC 3 Counties Radio. I review the films “Sin City: a Dame To Kill For”, “Lucy” and “What If” and look at the UK box office. The segment has its own section on the BBC iPlayer site which can be found by clicking above. BBC 3 Counties: dedicated iPlayer page. 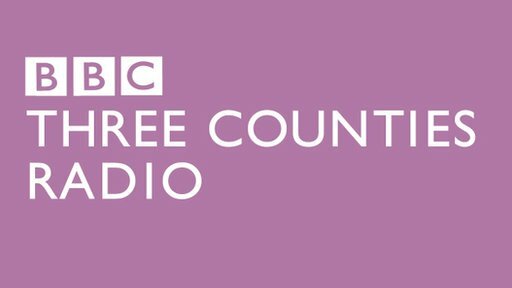 In addition to being added in the previous post, last Saturday’s reviews for BBC 3 Counties can be found on it’s own page on iPlayer! Simply click the link above to go to the page. Posted in BBC Three Counties Radio, Movie Review | Comments Off on BBC 3 Counties: dedicated iPlayer page. Please click above to listen to my film review segment for BBC Radio Oxford, broadcast 15th August. Myself and host David Prever review “The Expendables 3”, “The Unbeatables” and “Hector and The Search for Happiness”, plus a look at events in Oxfordshire and the UK Box office. Please click the logo above for my solo segment on Ali Jones’ BBC Oxford Weekend Show, broadcast 16th August. I reviewed the film “The Expendables 3”. Please click above to listen to my film review segment for BBC 3 Counties Radio, broadcast 16th August. Myself and host David Prever review “The Expendables 3”, “The Unbeatables” and “Hector and The Search for Happiness”, plus a look at the UK Box office. Please click above to listen to my film review segment for BBC Berkshire, broadcast 16th August. Host Henry Kelly and myself look at “The Expendables 3”, “The Unbeatables” and the DVD release of “Captain America: The Winter Soldiier”. I review the films “Pompeii”, “Bad Neighbours” and “Blue Ruin” via phone for the Saturday morning show.